This construction video will provide a tried and tested method on how to measure steel quantity with any dimension in RCC slabs in a building. 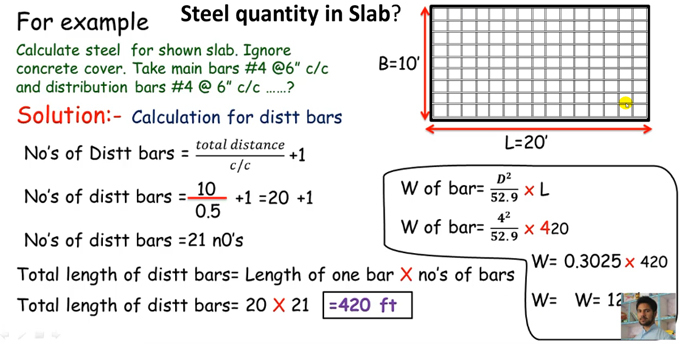 Here, an easy-to-follow formula is given to measure the length and weight of all the steel bars. Some factors like design of the structure, load and moment functioning on the structure etc. should be considered in calculation process. RCC is formed with concrete and steel bars. Concrete is durable in compression but feeble in tension. Therefore, the steel bars are supplied in RCC to provide endurance against the tensile stresses. The RCC drawings present each detail of the Reinforcement. Generally, the construction engineer takes the responsibility to measure the proper weight of the steel bars. In big organizations, the responsibility is handed over to the Quantity Surveyor. In minor construction companies, it is performed by the Site engineer. 1. To figure out how much quantity of steel bars are required to purchase for the work. 2. To track how much steel bars are actually used up in the RCC work. 3. To provide reconciliation to the client concerning the steel bars issued and used up.